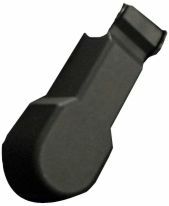 This Jeep wiper arm cap is designed for the left or right front wiper arm on 2007-2018 JK Wranglers. Wiper arm caps weigh 0.08 pounds and are approximately 3.7 inches in length. Youll want to prepare yourself for a heavy install on this wiper cap, a car lift is ideal, probably want to remove the rear axle, back seats and glove box to make things go smooth. Also, the fit is spot on, so make sure you bring all your tools out of the garage and set them next to your rig..on the ground because you wont need any of them. I wrapped up with a little bit of palmolive reduce 10/1 to remove any debris left by the sycamore overhang, that and a wipe with a microfiber towel and youre trail ready. At this point if you did remove the axle, glove box and back seats youll want to walk to the local liquor store, pony up on an 18 pack..youll need it to weith down the back end as you pull the engine.